Some of the most beautiful paintings in the world have been by famous painters that have painted angels. The majesty surrounding the paintings makes some of the most famous paintings in the world. Find out more about some of the paintings below. Madonna and Child by Giotto is one of the most famous paintings in the world. What makes it even more so is how he beautifully captures Madonna and her child. Every curl on the woman’s head is done with expert detail, and with the shadowing sharpening her beautiful features. He captures the radiation of devotion to the Madonna. This is an extraordinarily modern painting, yet captures the essence and magic of the past. In the painting, Mary, a schoolgirl, finds herself greeted by the Archangel Gabriel. The viewer of this painting is jolted with the immediateness of the scene, as the girl has untied shoelaces and messy black hair. Yet, despite this, the Archangel Gabriel bows before her. It is a beautiful representation of how modern times have shaped from the past. Rest on the flight to Egypt is a painting that shocked the Christian church. Caravaggio painted Madonna in a red dress, the color at the time associated with loose-living). Not only that, but she is slumped over asleep. What makes the painting even more controversial is that he painted Joseph patiently holding sheets of music for an angel who is playing violin with black wings. Whilst the painting is unbelievably controversial, it has a beautiful element to it that symbolizes not everything is as it seems. Leonardo da Vinci captures the calm beauty of Madonna and the sweetness of her face in his painting. A light shines from above onto Madonna’s face, the light of God. 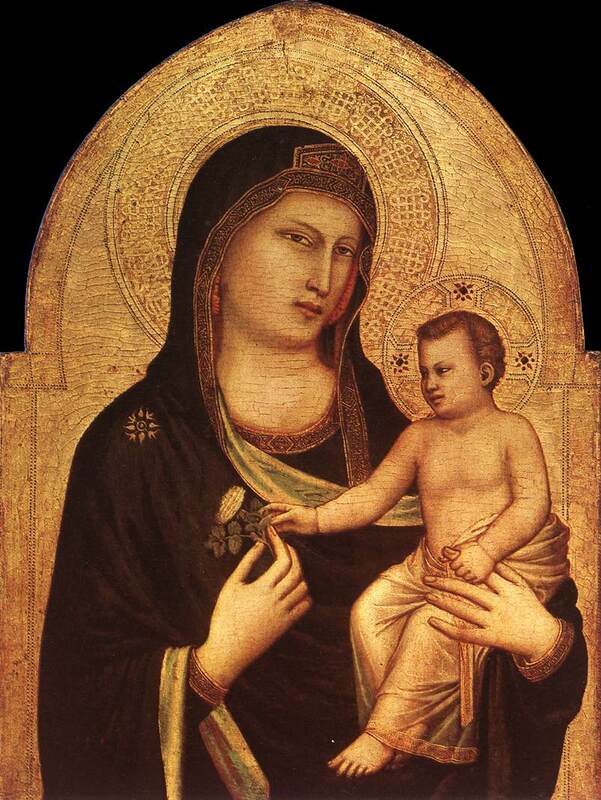 What makes this painting so beautiful is that Madonna’s face shows no grief or sin. She is the painting of innocence. An angel gentle supports her, blessing her. Many have commented throughout history and have said that this is one of the most beautiful depictions of Madonna as it captures her sweetness and innocence to life and the world around her. There are many beautiful paintings of angels through the world that have each brought its own meaning to life and have continued to inspire those who believe in their existence. 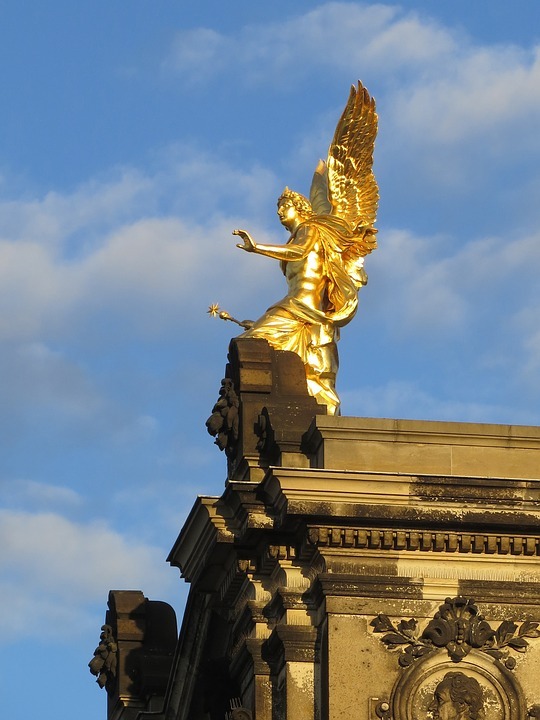 Angels have adorned rooftops of buildings for hundreds of years. Many times they are on the interior roof of a church, and they also can be found perched on top of the building, watching the people as they go inside. 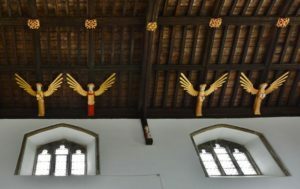 Angels represent peace, hope and joy and having the honor of mounting them on a church roof is a roofing contractor’s dream. Being part of something as sacred as the construction of a place of worship has been considered an honor since the middle ages. The Free Masons was formed in that era and their story is depicted in the book Pillars of the Earth by Ken Follett, which describes the building of a fictional cathedral in London in the 1600’s that took several generations to complete. It shows how the secrets of the architectural geometry were passed along from father to son, and the calculation of where the corner stone would be placed was the most critical part of the whole project. In modern times we see mostly simpler church construction as building a cathedral would be very cost prohibitive. For example St. Peter’s Basilica in Vatican City took 110 years to build and there are hundreds of precious jewels built right into the walls. Bringing your love of angels outdoors is always a good idea. 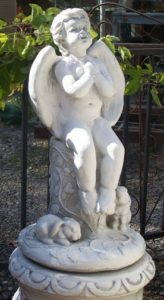 Statues of angels can be placed in the garden, on a deck, or in a private little meditation corner. 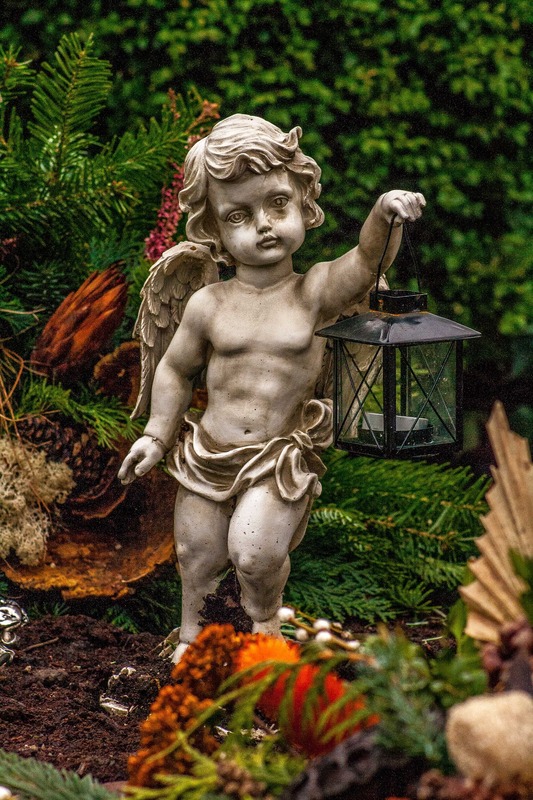 If you are going to be placing large, heavy, plaster statues on a deck that on the 2nd story, it is very important that you have a professional deck builder check to make sure that the deck can withstand the weight of the statue, or have them build it right into your deck or patio. Also, they would have the proper manpower to place your statue just where you want it. 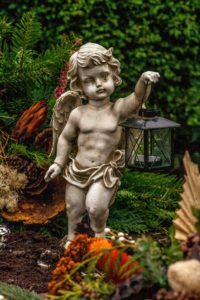 Having an angel in your yard brings love and peace to your environment. It symbolizes happiness and joy, which is exactly what you want in your back yard. Focusing on an angel, whether image or statue, gives one the opportunity to be in the moment, and to contemplate on what is going on in your life. By creating a beautiful, peaceful outdoor meditation area you and your family can enjoy the opportunity of enlightenment in the fresh air. 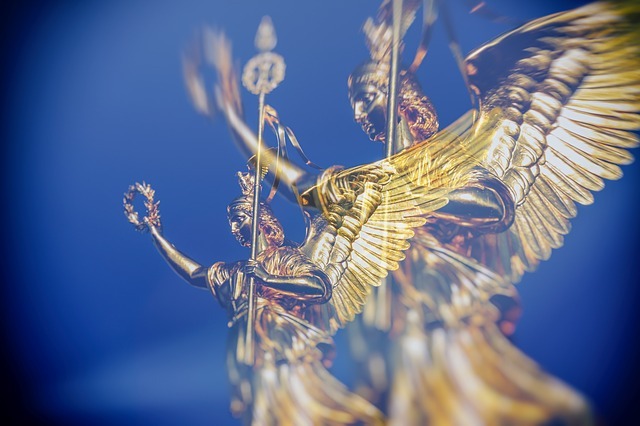 Don’t forget to ask the Angels can be asked to protect your home and property. They are always with you, but will never intrude in your life without being asked. So once again, don’t forget to ask them for any kind of help you may need. When it comes to painting our little angel’s room, there are many options to consider. Do you go with a neutral nursery, traditional pinks or blues, delicate yellows, soft greys or primary colors? Do you make the room for infants knowing you will be re-decorating in a couple of years, or do you forgo the baby look, and go for a room that is more suited to toddlers? This is your time to make your imagination run wild. You can go with hand painted murals of jungles, clouds, moon and stars or pictures right out of your favorite picture book. These may sound like ambitious options; however, a professional painter will be able to help you with your project, no matter how simple or intricate it may be. Many new parents choose the old do-it-yourself way when it comes to painting a single room and there are many tools and brushes that make the job easier. 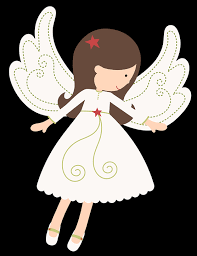 Here are a couple of ideas for a child’s room with an angel theme. For an infant, we chose a mural stencil of this little teddy bear angel with blue, white or pink walls. Here is something a little out of character, but rather interesting for a little girls’ room. The mural of this beautiful angel, on a black wall, and the other walls a pale grey, or light green. 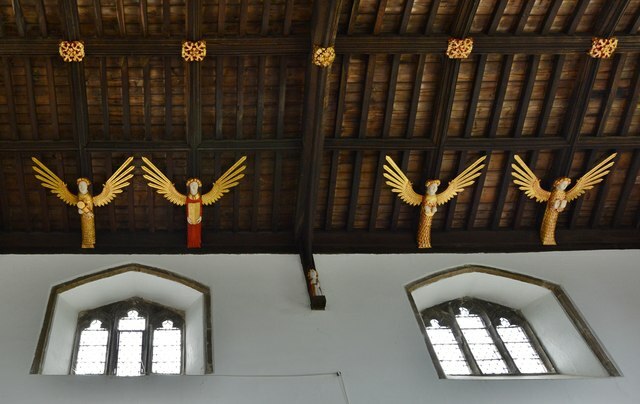 Angel themes in decorating give a sense of calmness to a room, and let’s not forget the symbolic message. 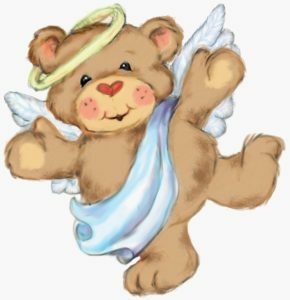 Guardian angels look after you, and having a picture of one in your child’s bedroom is a reminder that someone is watching over your precious bundle of joy.